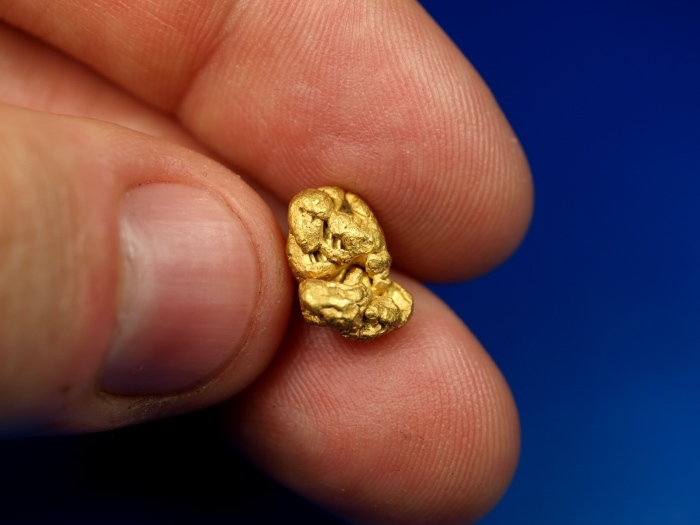 A beautiful natural gold nugget recently recovered by a miner at a placer operation up in Fairbanks, Alaska. This gorgeous nugget is very bright and clean and will make a fantastic addition to your mineral collection. 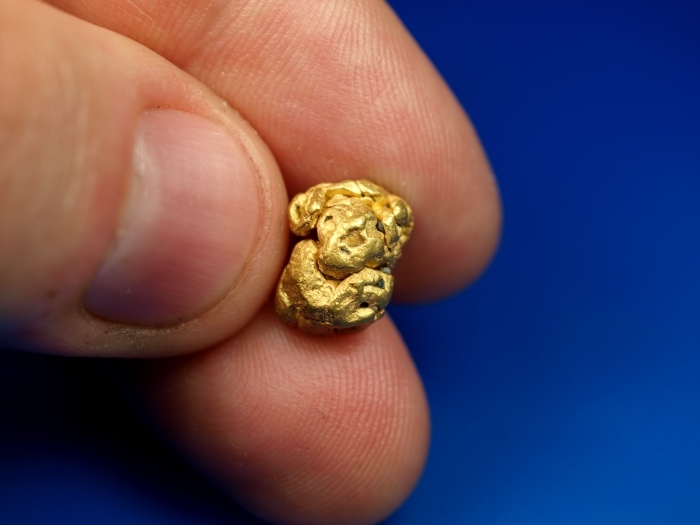 It weighs 3.56 grams.